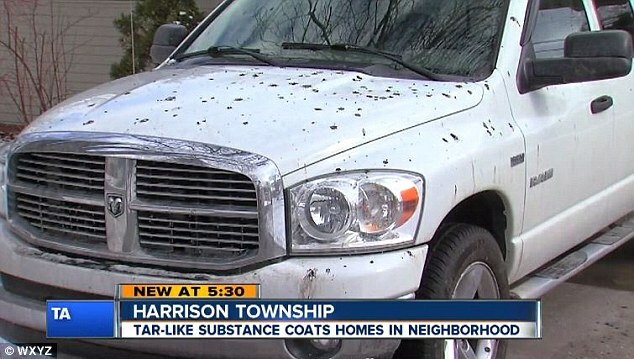 A city in Michigan is perplexed after a a tar-like substance has rained down on their cars, porches and driveways this week. 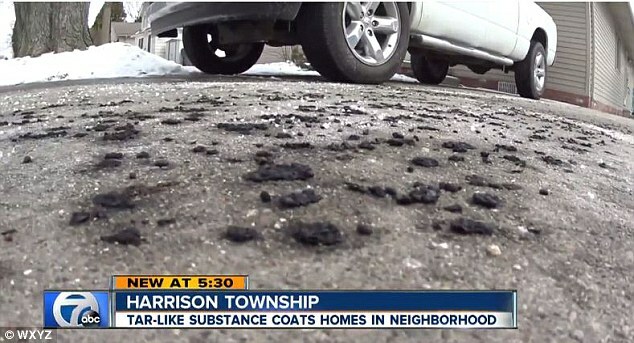 The black, oily substance first appeared on at least six driveways in Harrison Township on Sunday, and days later, what the material is still remains a mystery. Michigan Department of Environmental Quality officials collected samples of the substance on Wednesday. The city’s fire chief sad that it is not bird droppings and is not flammable, according to WXYZ. Harrison Township resident Paul Schlutow, 73, said ‘everybody’s concerned’ about the substance and the major concern is that the substance could potentially be harmful.